When someone has insomnia, they tend to have difficulty falling and staying asleep despite wanting to. This can lead to an agitated mood the next day, anxiety about falling asleep, and depressive symptoms overall. Combining that with the distress that comes with ending a relationship can make getting a good night of sleep even more difficult. During breakups, many people report feeling like they are in physical pain, which several studies have noted to be similar to going through drug withdrawal. In this sense physical pain, such as falling and twisting an ankle, and feeling rejected register in similar locations in the brain. The anterior insula and dorsal anterior cingulate both light up on MRI scans when participants are administered a pain-related task, and when they are told to think about a specific experience with their ex-partner. On average, people who experience chronic pain tend to get worse sleep than those who do not. If you are feeling physically or emotionally uncomfortable, settling down and getting a restful sleep is going to feel like an uphill battle. Feeling on edge before bedtime can make getting a good night of sleep almost impossible. During breakups, it is often difficult to turn off thoughts about what went wrong in the relationship, and how much you may miss your ex-partner. If you cannot seem to relax, waking up often during the night and not being able to fall asleep are common issues you may encounter. Studies indicate those who tend to ruminate have a more difficult time getting quality sleep. 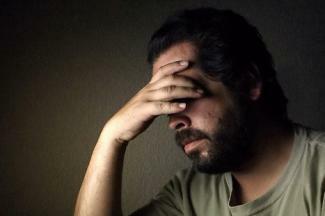 Ruminating can lead to obsessive thoughts and symptoms of anxiety and depression. When you ruminate, you are not processing appropriately; you are stuck on a detail and can't seem to let it go. This can cause a vicious cycle that leads to more ruminating followed by insomnia. People who do not get enough sleep are more at risk for symptoms of depression and anxiety, which can make healing from a breakup that much more difficult. Sleep is how the body and mind process what has happened during the day. During sleep, information is consolidated and stored appropriately. If lack of sleep is getting in your way, especially during a vulnerable time such as a breakup, you may not be fully processing enough information to move on. 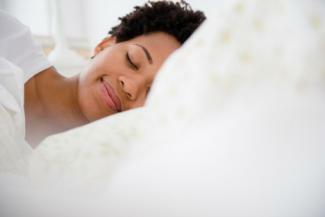 Making sleep a priority not only helps you move on from a breakup but keeps your mind and body healthy. Process your breakup with a supportive friend or family member. Research shows those who talk about their breakups tend to move on more quickly and are better equipped at redefining themselves as independent individuals. Speak with a qualified counselor if you are experiencing disruptive symptoms of anxiety or depression or insomnia. Symptoms include racing heart beat, constant, intrusive thoughts, mood swings, changes in appetite, and an overall low quality of sleep that is negatively impacting your life. Limit caffeine and heavy nighttime meals as these can make falling asleep more challenging. Join a support group with others going through a breakup. Chances are others are experiencing similar symptoms of insomnia, too. Create a relaxing nighttime routine. Sometimes taking a warm shower or bath and limiting electronic screen time can make falling asleep easier. Make a sleep mantra. Know that even if you are not sleeping, simply laying in bed offers your mind and body some much needed relaxation. Make a relaxation playlist that puts your mind at ease when you listen to it. Focus fully on the music. If your mind drifts to your breakup, gently bring it back to the music. Do some mindfulness exercises to ground yourself prior to bedtime. These can help focus your mind on the present moment and take them off of your breakup. Consider writing in a journal about your breakup before bed to help process any emotions that were stirred up throughout the day. Breakups are difficult to go through and experiencing insomnia along with it can be even more frustrating. Take time to process your emotions and prioritize your sleep hygiene. Reach out to professional counselors or support groups if you need more assistance than friends or family members can offer. Know pain is typically experienced like a bell curve. It may feel horrible at first but will typically decrease over time.